Customized shirts are a staple in everyday life. You can’t walk a few feet without spotting people wearing custom printed t shirts, sweatshirts or customized hoodies. You can’t go a whole week without at least donning a custom printed shirt for one reason or another. They have survived the fluctuations of fashion trends over the decades and proved that custom shirts are pieces of clothing that are here to stay. And possibly so will anything that happens to be printed on a shirt. A shirt is like walking billboard space that just keeps on giving. Businesses can use them to advertise their companies; various sports teams use them to identify themselves as a united group; publishers use them to promote a book; and bands use them in attempts to not only advertise but immortalize their names. For these very reasons given above, TV and cable networks and production companies can use these shirts to spread their name, foster a sense of unity among their cast and crew, and leave a lasting impression on anyone who even glances at the shirt bearing the production company’s or network’s logos. Production companies and networks can use them to advertise through various means. One of which is using shirts as walking billboards. This can be done by first giving these items away as souvenirs or prizes when holding events that hype up the production of the show. Imagine, there is no telling where and how far the tv show’s logo or slogan on the shirt will go. As people are infinitely more dynamic than conventional billboards and posters in the way that they move around freely. The scope of advertising is unlimited in this way. Also, the length of time it will take for the wearer to stop wearing the networks’ advertisement can turn out to be years. Unlike billboards, there’s also less restriction on what the design or logo on the shirt will be. Custom printed shirts can be designed in such a way as to pique the interest of the people who will see it, intrigue them by showing them art related to the show that will want them to look it up or at least make a mental note of it for later. Making these shirts limited editions can also make the wearer feel special and particularly endeared to the show. 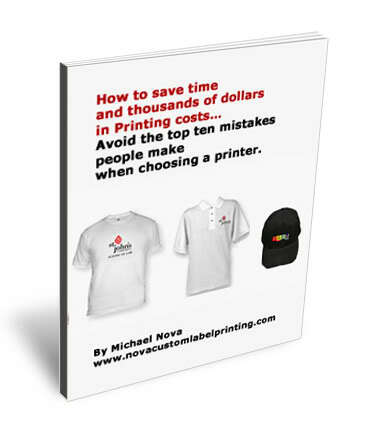 Cost-wise shirts can be printed for less, so it’s always an affordable way of advertising. Here’s a tip on how to save on printing. These printed shirts can also foster a sense of solidarity among the crew who work for the show because when they all wear the shirts together. It gives them a sense of belonging to the bigger picture, of being a part without which the program cannot function or make sense. It helps to bring everyone together under one banner and reminds everyone that they’re all working for the success of one project. It becomes something they can identify with, and it also imparts to them a sense of loyalty to the show because with that unique and limited piece of memorabilia is attached a plethora of fond memories and memories of hardships they have overcome while working on the project. 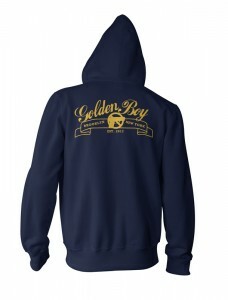 Whether giving away promotional t shirts, selling customized hoodies to fans, or just outfitting cast and crew with sweatshirts, or any combination of the three, they can all be beneficial to the life of the show. It’s easy to place an order if the choice is a reputable printing company. A good printing company will make the process easy, sending a proof to check before printing, and printing the job in as fast as 24 hours. The process should be simple, and the results should be more than satisfying. Look for a printer that has experience and is reasonably priced, and a memorable promotional garment that can last for years.